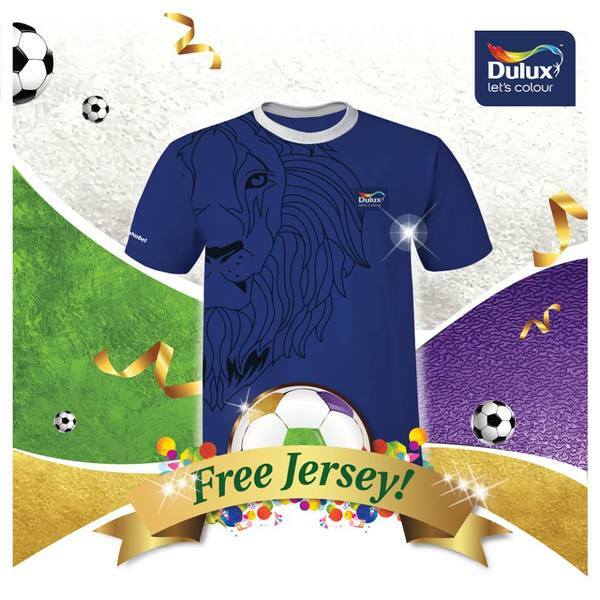 Dulux Free Jersey, get in gear for the upcoming festive season with Dulux! In the spirit of the season, Dulux is giving away football jerseys and all you have to do is come up with the most creative name for its colour to win! Simply post your entry in the contest post comments and tag three friends, there are six jerseys to be won each week. Don’t worry if you missed it, the organizer is running this contest for three more weeks!